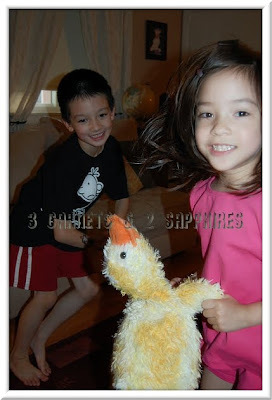 Because the air has been so hot, humid, and unhealthy outside, the children have been cooped up in the house quite a lot. 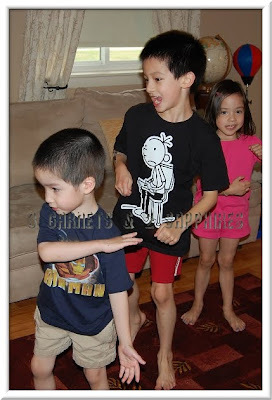 Blasting some Kidz Bop and letting loose was just what they needed. Out of all the Kidz Bop CDs we own, Kidz Bop 20 might just be our 7 year old son's favorite. Out of the 16 songs on this CD, there was only one that he did not care for . . . "Never Say Never". It was not the actual music that he did not like, but rather the subject matter. 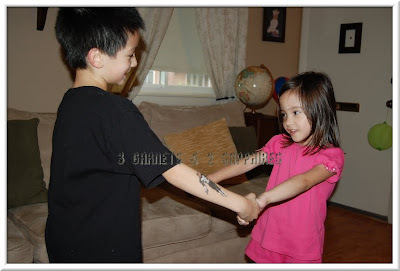 This particular song is very obviously about L-O-V-E and that's just too icky for a boy his age. My son's favorite songs on the Kidz Bop 20 CD are "Price Tag", "On The Floor", and "Rolling in the Deep." As far as music goes, I think I'm still stuck in the 80's and 90's, so although I enjoyed the music, I only recognized one song. My son, however, recognized the majority of them because pop music was the school bus driver's choice of music last year. All the songs on this CD were fun and upbeat with not one ballad. Even our 4 year old twins enjoyed dancing to them. This is a great CD for a rainy day or a long car trip. 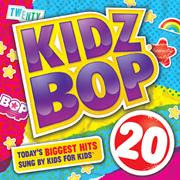 Kidz Bop 20 is now available for purchase on CD and digital download at most major music retailers. You can listen to clips from each song on KidzBop.com. Thank you to Kidz Bop for providing a complimentary product sample for us to base this review upon.